Yangtze River, longest river in both China and Asia and third longest river in the world, with a length of 3,915 miles (6,300 kilometres). The Yangtze River has a strong claim to being the most interesting river in the world, with a wide variety of tourist attractions, scenery, and culture along its length. Stretching from a land of remote mountains and arid plains, it winds its way through canyon gorges to fertile regions of connecting lakes and waterways. Its basin, extending for some 2,000 miles (3,200 km) from west to east and for more than 600 miles (1,000 km) from north to south, drains an area of 698,265 square miles (1,808,500 square km). 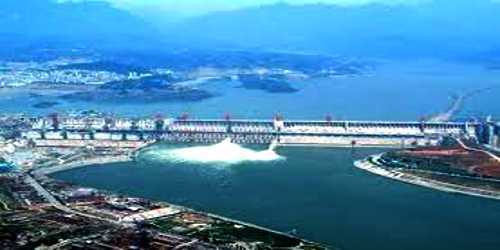 Largest Dam: The Three Gorges Dam is the largest dam in the world. The Yangtze basin is home for one third of China’s population, and the river allows ship transport all the way to Chongqing. It is the most important river for agriculture, industry, and inland travel. It is considered the dividing line between northern and southern China. 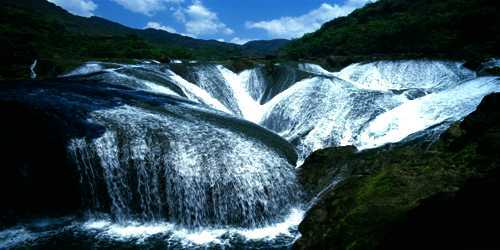 As the largest water system in China, Yangtze River is historically, economically and culturally important to the country. It has numerous tributaries including Min River, Han River, Jialing River, Gan River, and Huangpu River. The Three Gorges Dam on the river is the largest dam project and hydropower station in the world. Generally, people consider the river a dividing line between North China and South China. Areas to the north and the south of the river have many differences in climate, scenery, economics, culture and folk customs. In its upper reaches the Yangtze River drains across the Plateau of Tibet, which is still uplifting as the Indian and Eurasian tectonic plates collide. The bedrock comprises an assemblage of marine sedimentary, igneous, and metamorphic rocks. Within intermontane basins, thick deposits of sediments of Cenozoic age—i.e., less than about 65 million years old—overlie the bedrock. The Yangtze descends abruptly from the Tibetan Plateau to flow across deeply eroded mountain plateaus consisting of Paleozoic and Mesozoic rocks roughly 350 to 150 million years old. In its lower reaches, the Yangtze River flows across basin fills of Cenozoic material that is about 65 to 25 million years old. These are the result of fluvial sedimentation as the Yangtze has migrated across its lower basin throughout its Cenozoic history. Yangtze Floods: The Yangtze River frequently overflows its banks and fills huge plains with large amounts of water, causing catastrophic flooding. There are floods every year during the June-to-September monsoon season. On average at least several hundred people are killed in Yangtze River floods every year. Some years there are devastating floods. The Yangtze is responsible for 70 to 75 percent of China’s floods. Floods on the river in the 20th century alone have killed more than 300,000 people. There were catastrophic floods on the Yangtze in 1931, 1935 and 1954 and 1998. Over 2,000 are believed to have died in the flood of 1991. Some 4,100 died in the floods in 1998. Yangtze cruises between Chongqing and Yichang/Wuhan/Shanghai are frequently-chosen itineraries. Tourists can discover a river abounding with amazing natural beauties and historic relics. 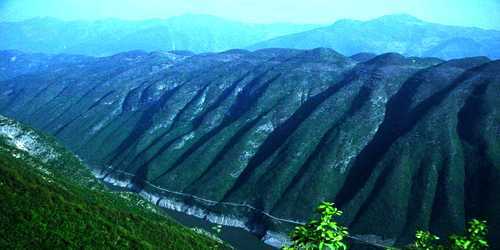 No one would deny the majesty of the Three Gorges – Qutang Gorge, Wu Gorge and Xiling Gorge. During the cruise and the onshore excursions, tourists can enjoy the spectacle of Fengdu Ghost City, the unique architecture of Shibaozhai, the fun of drifting in　Shennong Stream and the wonder of Three Gorges Dam. The river is one of the busiest in terms of traffic. Ships use it to transport coal and manufactured goods. Passenger ships also use the river, and Yangtze River cruises are become quite a big tourist attraction. Flooding of the Yangtze River can be a major problem. In 1954 around 30,000 people were killed as a result of flood waters. The earliest evidence of human activity on the banks of the Yangtze River dates 27,000 years ago. The Yangtze River’s watershed (area of land drained by the river) is more than 695,000 square miles. The Yangtze River passes through many cities including Yibin, Luzhou, Chongqing, Wanzhou, Yichang, Jingzhou, Yueyang, Wuhan, Jiujiang, Anging, Tongling, Wuhu, Nanjing, Zhenjiang, Nantong, and Shanghai. The Yangtze River basin is a major grain producing region. Rice accounts for 70% of the grain grown in the region, followed by wheat and barley. Other crops grown in the region include cotton, beans, and maize. The Yangtze River is home to the world’s oldest existing dam-free irrigation system. It is called the Dujiangyan Irrigation Project and is located west of Chengdu City on Minjiang. The first big dam constructed on the Yangtze River was the Gezhouba Dam, in 1988. Three Gorges Dam was finished in 2009. It is a very large hydropower project and is also responsible for flood control. The Yangtze River valley floods each summer but because of river dykes people are able to live there. Major floods have overflowed the dykes in some years. Major floods that caused much devastation along the Yangtze River occurred in 1931, 1935, 1954, and 1998.